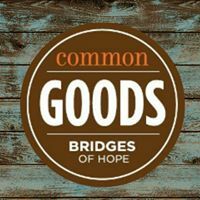 Common Goods was created to be a venue for community members to give their time, talents and treasures which supports Bridges of Hope, a nonprofit organization that serves children and families in need in the Brainerd Lakes Area. One certificate per visit. Good at either the Baxter or Crosslake store. No cash back. No cash value. No credit given. No refunds.